What Is the Best Affiliate Solution? The successful affiliate program does not happen by accident. Many factors contribute to an affiliate program's ability to rise above the mediocre masses. One such factor is the level of investment by a company in the longevity and growth of that affiliate program; another is the relative experience of the affiliate manager/team. The Achilles' heel of many affiliate programs is their hasty, uninformed choice regarding an affiliate solution provider. Although a number of decisions must be made when launching an affiliate program, the choice of an affiliate solution is one that must be given much weight. Do your research, and make the right decision the first time. In a recent United States Affiliate Manager Coalition poll, nearly 40 percent of affiliate managers said they would select a different affiliate solution provider if they could do it all over again. 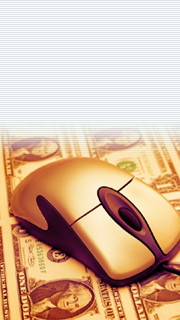 The choices in affiliate solutions are numerous. Dr. Ralph F. Wilson breaks down the affiliate solutions into five categories in his "Report on Affiliate Management Software." According to Wilson, the solution providers are categorized as commission-based ASPs (application service providers), fee-based ASPs, CGI programs, e-commerce programs, and in-house custom applications. According to the affiliate metrix 2001 Merchant Report, 76 percent of affiliate programs are working with one of the "Big Four" commission-based ASPs. The fee-based ASPs, including AssocTRAC and My Affiliate Program, make up a large degree of the remaining market share. The million-dollar question for companies interested in affiliate marketing is, Which affiliate solution provider is best? Although some industry pundits suggest that there is one answer to this question, the reality is that the best affiliate solution for you depends on your budget; your needs for technology, support, and affiliate recruiting; and your stand on exclusivity. In general, budget is the biggest factor. Some programs can get by with the bare-bones offerings at the lower end, while Fortune 500 companies gravitate toward the higher-end commission-based ASPs. The level and quality of technology and support vary among affiliate solution providers. What one merchant deems to be mission critical can very well be seen as superfluous by another. Before being seduced by a laundry list of features, figure out which are actually necessary for your affiliate program. Support encompasses technical assistance to the merchant as well as access to an account representative and consultation for industry best practices. These valuable services are standard for commission-based ASPs and are available from some of the fee-based ASPs. Similarly, the higher-end affiliate solution providers actively recruit affiliates into their network for the benefit of their merchants. However, it's important to note that this recruitment does not generally include the super affiliates. It's up to the merchant to proactively recruit its most desired affiliates. There is much ballyhoo out there about exclusivity among affiliate solution providers. Though it is nice to have options, I have to question how many companies would actually endeavor to work with multiple affiliate solution providers, even if they could. Research from affiliate metrix indicates that the majority of affiliate programs are managed by one person at the most. Over the past 15 months, there have been two of us managing the ClubMom affiliate program, and the prospect of launching a program of the same caliber on a second platform is a bit laughable. To see the big picture about any affiliate solution provider, go out of your way to find out what merchants and affiliates think of them. Check out the affiliate marketing message boards. One caveat is that some messages are a country mile from objectivity. After monitoring the message boards for a week or so, you can get an idea about which people post useful messages and which messages are not worth your consideration. Also, ask your prospective affiliate solution providers to provide references. Though references are given with the intention to help sell a particular provider, it should be a red flag if you ask for them and they are not furnished. You can also find merchants from a wide array of affiliate solution providers at the industry conferences, which provide a good opportunity to obtain candid references. Some of the research has already been done for you. Wilson's "Report on Affiliate Management Software" is a useful third-party evaluation of the affiliate solution providers. Dr. Wilson selected Be Free, Commission Junction, My Affiliate Program, The Ultimate Affiliate Package, and Synergyx as the Editor's Choice picks in this report. Now back to that budget issue. If you plan to sign on with one of the commission-based ASPs, you've got to work the numbers to ensure that it is going to be within your means. Map out your projected affiliate program impressions, click-throughs, and transactions for the next year. Then tie in the associated costs for working with the various companies. Don't let your program implode because it is too successful (read: too expensive on the back end). The choice of your affiliate solution provider is important -- it results in a marriage -- and can dictate the success or failure of your program. Do it right the first time, or else you might find yourself having irreconcilable differences. And think about this: Few, if any, affiliate programs have switched affiliate solution providers and have subsequently managed to sustain success.